It is no accident that the weather is a perpetual topic of conversation in Britain. For its range of extreme conditions our climate is quite unusual. Winds of over 130 mph (1976), arctic conditions like those in early 1963 and snowstorms producing 6 feet of undrifted snow in 15 hours (1929), fogs in which you cannot see your own feet (1952), protracted droughts as in 1975-6 and 1995-7 and heatwaves with temperatures reaching 100 F (1868), hailstorms showering down lb hailstones (1925), ice-storms so severe that birds fell to the ground in mid flight, weighed down by coats of ice (1940), and deluges releasing 11 inches of rain in 24 hours (1955) -- Robin Stirling tells us of these and many other equally remarkable phenomena, assessing their significance in relation to average conditions both locally and nationally, and putting all the facts into perspective. 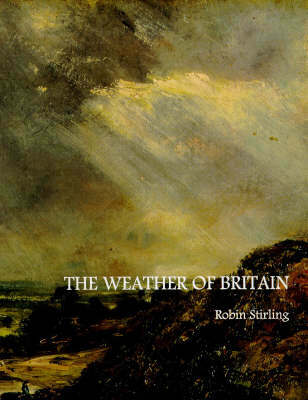 A mine of information, The Weather of Britain has proved absorbing for all those with a general interest in the subject and valuable for people whose jobs and even lives depend on having a detailed and accurate knowledge of Britain's weather. A professional geographer and teacher, Robin Stirling was well known for his meteorological researches, in which he was active throughout his life. He was a Fellow of the Royal Geographical Society and of the Royal Meteorological Society, and was also the author of Modern Suggestive Geographies, Part II, The World (Wheaton).